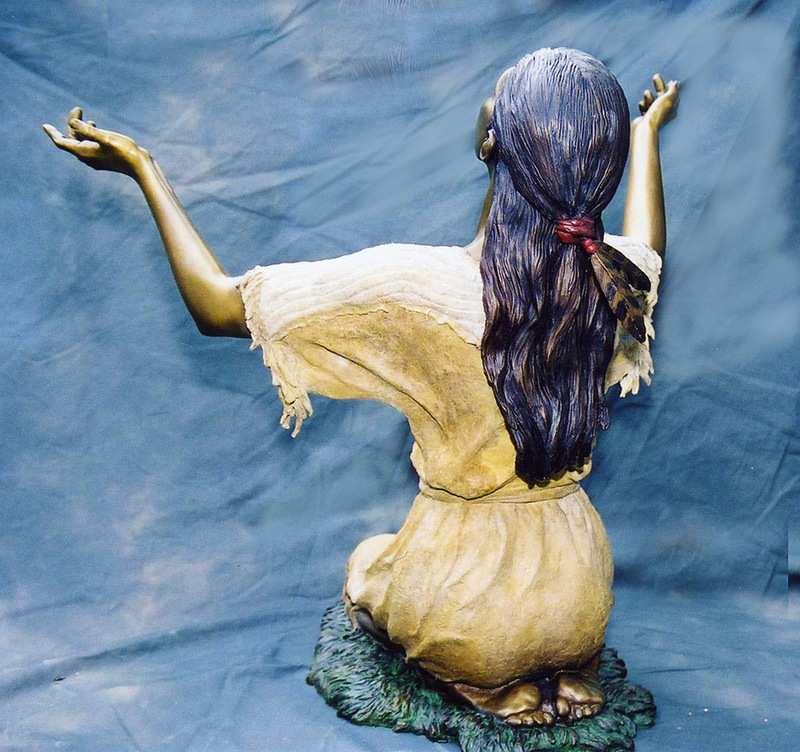 This originates in the Blackfeet legend, of a maiden captured by the enemy and treated horribly. Provided with clothing, pemmican and water by one of her captors, she escaped into the night. However unable to find her own tribe she was soon lost and starving. 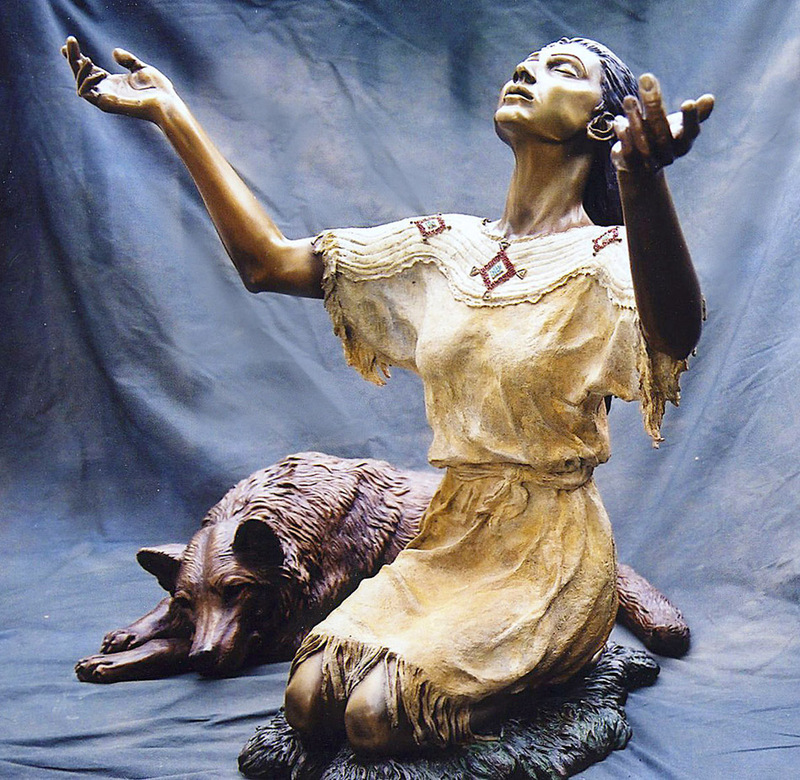 The legend states that a wolf befriended her, killed and provided her with a deer for sustenance and helped her find her way back to her tribe. She now gives thanks for this wonderful assistance. 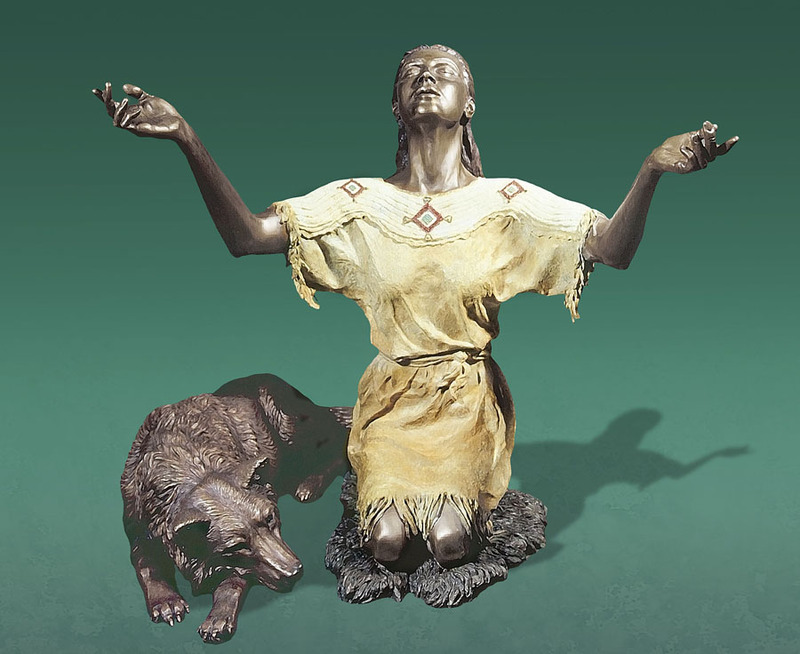 This bronze was purchased by the Apache Tribe in Pinetop, Arizona for prominent display in it’s tribal Headquarters.